Leaves: 3-6" long, egg-shaped, tapering to a point, edges notched, dark green. Bark: Tawny yellow to gray and smooth on young trees, turning dark gray and deeply furrowed in older trees. 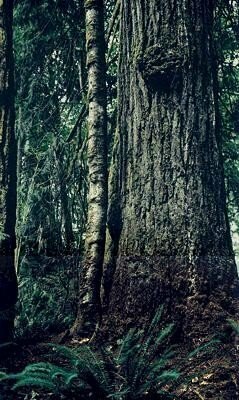 The tallest native western hardwood. The wood is used for boxes and crates. The hard, unripe seeds have been adapted for pea-shooter ammunition. 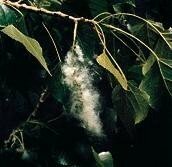 The released seeds form the familiar "summer snow," carried on the wind by their cottony filaments. Native American people on the coast made dugout canoes from black cottonwood. Also, the Okanagan people made cottonwood into sideboards for riding and cradles to flatten their children's heads. 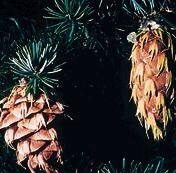 And usually has twisted or crooked trunk with narrow, irregular crowns. Which are edible but bitter and very popular with birds. Blooms: small, 5 petaled, white, numerous clusters at the end of the twig (resembling a bottle brush) and blooms in May and June. Bark: dark reddish-brown to greyish-brown that is smooth and doesn't peel readily. Needles: 3/4 to 1 1/4" long. Flattened all around the twig. Soft to the touch. Bark: Dark gray brown. Corky looking, deeply furrowed in mature trees. Inside furrows often rust red. 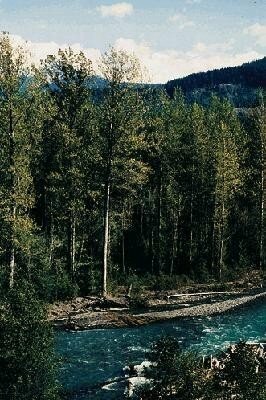 Native Americans in this area had many uses for Douglas-fir: wood and the boughs as fuel for pit cooking; for fishing hooks and for handles; and Douglas-fir boughs were frequently used for covering the floors of lodges and sweat lodges.  One of the world's most important timber species, used for veneer for plywood, and as mine timbers because of their strength. Grouse, deer, and elk like to eat the foliage. Currently, the Kootenai (Kootenai National Forest) is infested by the douglas-fir bark beetle which uses these trees as breeding grounds, which eventually kills the trees. Native Americans used peeled, split, and soaked spruce root to sew the seams of bark baskets. The Salish and Athapaskan peoples used the split roots to make tightly woven coiled baskets. Sheets of spruce bark were made into cooking baskets and canoes. The bark was used by the Thompson people for roofing and by the Lillooet people for baby carriers. 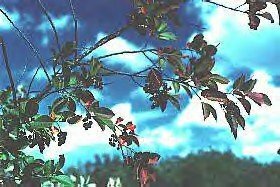 Native Americans place great faith in the healing properties of the fragrant, transparent gum pinched from resin blisters found on the smooth barked, young trees. The Okanagan people built canoes from grand fir bark and rubbed its pitch on paddles to give them a good finish. They also applied pitch to the back of bows to provide a secure grip. Kwakwaka'wakw shamans wove branches into headdresses and costumes; they also used branches for scrubbing before rites and rituals. The Hesquiat made branches into incense and decorative clothing for wolf dancers. They also rubbed the pitch mixed with oil on their scalps as a perfume and to prevent baldness. 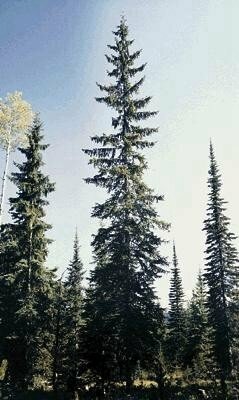 The lodgepole pine occurs in areas where forest fires are common. 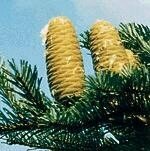 The cones will stay on the trees tightly closed until the heat of a fire causes the cones to open and drop seed to begin a new forest. Native Americans prized the lodgepole for making teepee supports and travois poles. 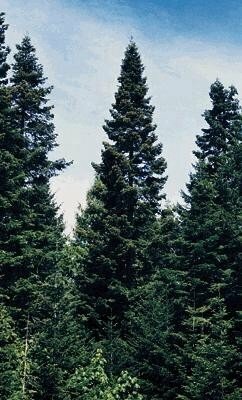 Many First Nations peoples used the wood from lodgepole pine for a variety of purposes, including poles for lodges, homes or buildings. 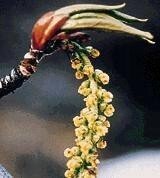 In the spring, they stripped off long ribbons or "noodles" of the sweet succulent inner bark (cambium layer). It was eaten fresh in the spring, sometimes with sugar, or stored.